Stephen Strange is no stranger to the weird and otherworldly, but it looks like things are soon going to be more bizarre than ever before. Marvel started rolling out their June 2019 solicitations earlier today and with Doctor Strange #15 and #16 both set for release in the coming months, it appears Strange's archnemesis might end up turning into one of the most feared villains of recent memory. 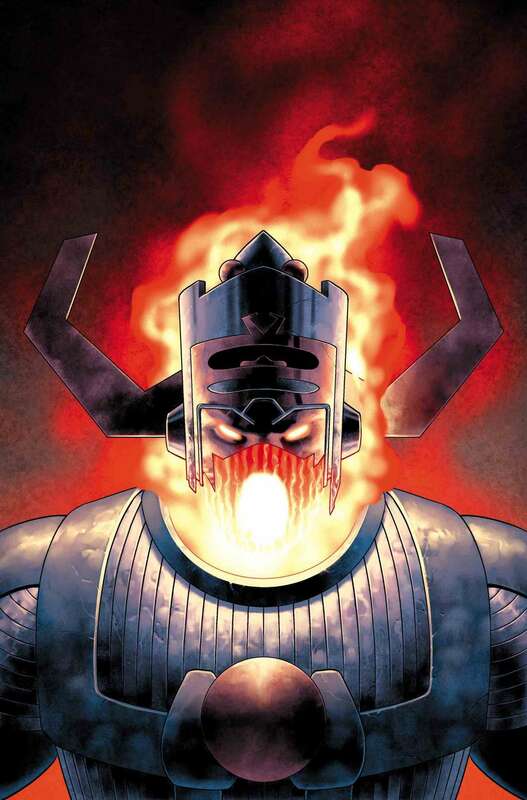 The solicitation teases a new alliance between Dormammu and Galactus, leading to an absolutely bonkers cover of Dormammu suiting up as the world-eating being. The cover from Doctor Strange cover artist Jesus Saiz can be seen in its textless entirety below. When Waid was first announced as the new writer for Doctor Strange, he teased that the creative team would be taking the Sorcerer Supreme to all-new places. If these new solicitations are any indication, the writer has certainly lived up to his promise. "I've been a Strange fan forever, but I've never been lucky enough to write an extended run featuring the good doctor," Waid admitted. "Along with editor Nick Lowe, we've come up with some new and very unexpected places to take Stephen Strange in the Marvel Universe – starting with the stars. When Strange's magic suddenly exhausts itself, he'll have to travel off-earth to recharge his batteries. Let's hope he survives the trip." The solicitations for #15 and #16 can be found below. Have you been keeping up with Mark Waid's run on Doctor Strange? Let us know what you've thought of it in the comments below!